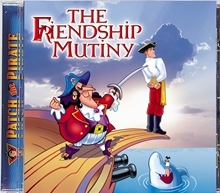 Captain Fiendly and his scurvy crew trick Peanut and PeeWee into handing over the Jolly Roger. What will happen to Cap'n Patch? Help your sailors learn the value of good friends, faithfulness, and discernment.